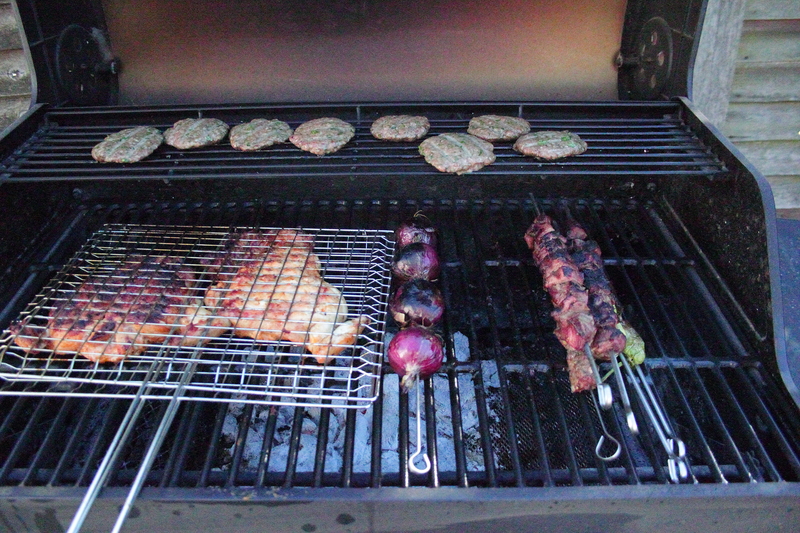 An Atypical British Barbecue – Flogging Delicious! There’s really something funny about summer in England – every time you plan to do something outdoors or head to the seaside it’s cloudy and miserable, and when you’re stuck in the office it’s absolutely glorious! So as I woke up this morning and saw the beautiful weather out (no rain forecast! Could it really be true?) I thought I would make the most of the warmth and commit to a day in the garden. 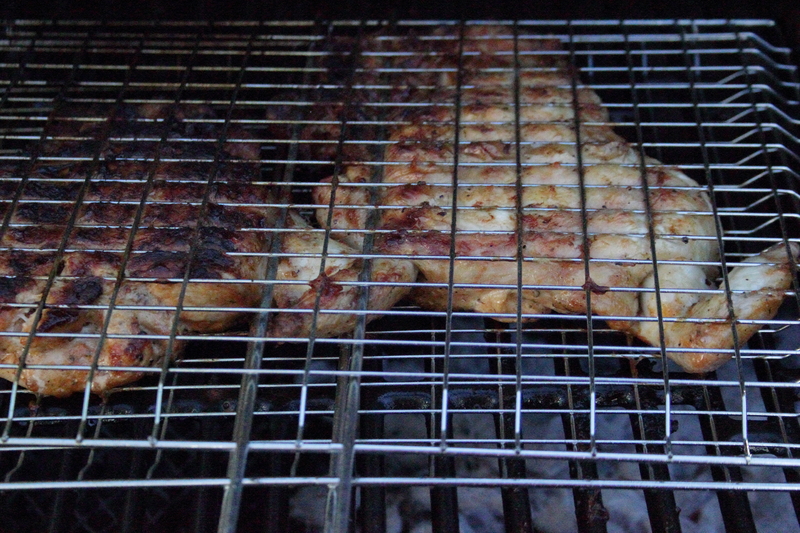 Even better, I decided it was the perfect day to get the barbecue out of the shed and to light those coals. There’s a lot more to a barbecue than throwing some shop-bought burgers and sausages onto the fire, though. It’s a good excuse to head to the butcher and to pick some tasty cuts of meat that will behave well over intense heat. It’s also a fantastic opportunity to extend your kitchen into the garden and to make great use of a cooking method that’s so weather dependent. A real social event, barbecues are a chance to have friends over, to open up a couple of bottles of wine and to make the most of the sunshine and fresh air. And with a little planning ahead, they can be relatively fuss free, especially if you grab yourself one of those “sitting down” barbecues. Wine in one hand, tongs in the other? Yes, I think that will be just fine, thank you. So grab yourself some mixing bowls and let’s get cracking. In one bowl, combine 1 kilogram of cubed lamb pieces (fillet or leg is best) with a splash of red wine vinegar, a good glug of olive oil, the juice of 1 lemon, salt, ground white and ground black pepper, to taste. Mince a large onion to a fine pulp and add to your meat. If you don’t have an electric mincer, you can dice the onion very finely instead. With clean hands, work all the ingredients in as well as you can and leave overnight in the fridge. 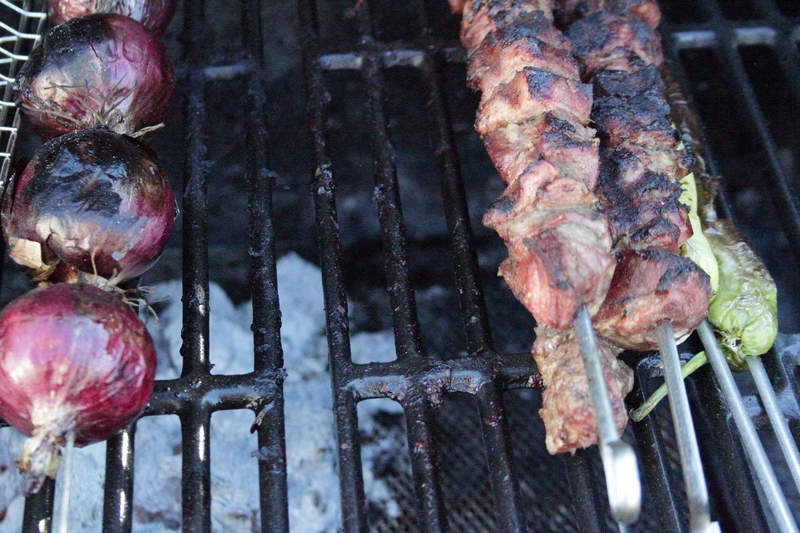 On the day of your barbecue, feed your cubed lamb pieces onto skewers, with a couple of baby or red onions on the ends, if desired (these are lovely and sweet when cooked over the grills). In a blender, add 1 kilogram of lamb mince (ask your butcher to give you meat off the shoulder, it’s fatty enough to produce some really juicy lamb patties). Add 1 chopped onion, a small bunch of flat-leaf parsley, half a teaspoon of cinnamon, some chilli powder if you like your food a bit spicy, and salt and pepper, to taste. Blend until the fresh ingredients are finely chopped and well combined with the meat. 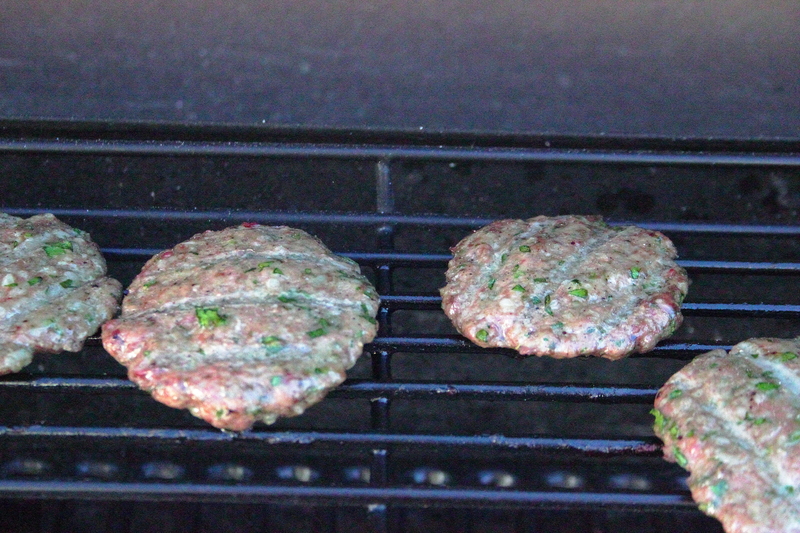 With damp hands, divide the meat into equal-sized balls, and flatten between your hands to make patties about 1 cm thick. Ask your butcher to cut a large chicken for you into 8-10 pieces, skin on (here I actually used 2 whole chickens, but I normally go for pieces). In a bowl, combine a generous glug of vegetable oil with the juice of 1 lemon, half a bulb of crushed garlic, salt, pepper and chilli powder, to taste. Mix your chicken until all the pieces are well-coated and leave for a couple of hours or so in the fridge before cooking. Towards the end of cooking, you can even drizzle on some olive oil and more crushed garlic onto that lovely, crisp skin. Trust me, it’s good. As your different meats cook, set them aside and keep them warm in a heavy set pot, lined with some pitta bread or Arabic bread. I guarantee that you will be fighting for that bread after it’s soaked up all those meat juices! Serve with my salatet batata, made with boiled and peeled baby potatoes, finely sliced spring onions, chopped parsley, lemon juice, olive oil, salt, white pepper and a touch of ground cumin.